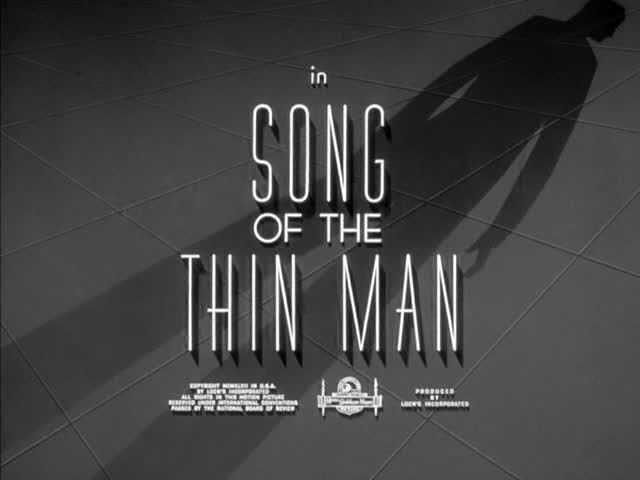 Song of the Thin Man puts Nick and Nora in the secret world of jazz club singers in New York. It’s also a sort of pun, as this is the swan song of the series. 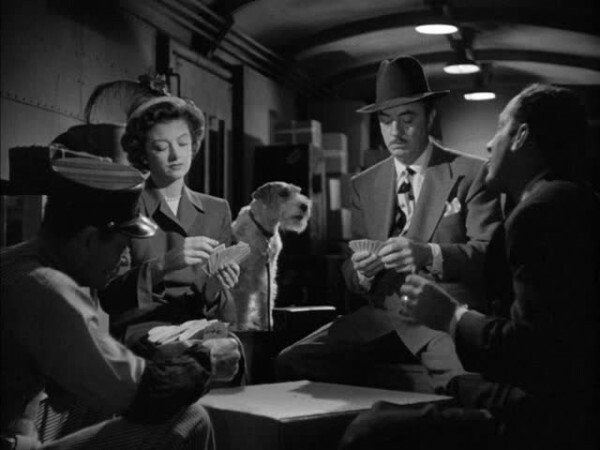 Some of the charm is still there, William Powell and Myrna Loy can’t not be charming when together in a room. 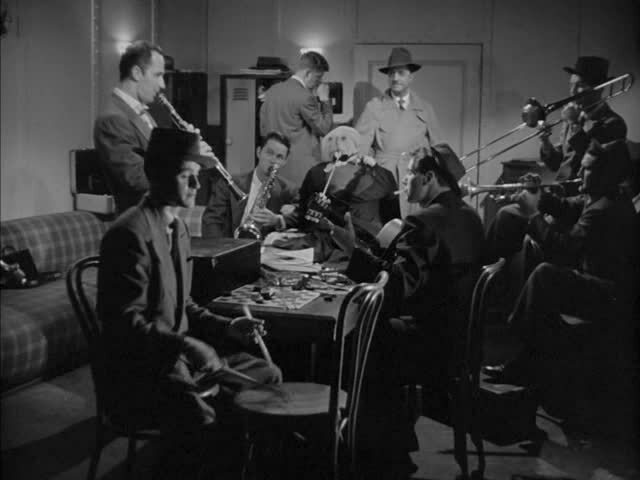 The film spends too much time on the jazz atmosphere to trust the actors to carry scenes. It can get a bit tedious when there is yet another jazz scene, yet another instance of Clinker using weird slang, and yet another instance of Nick and Nora trying to fit in and absorbing the language. The outside scenes where other things happen become breaths of fresh air, but there isn’t enough in this ecosystem to make it stand out. We again get a new creative crew for this Thin Man entry. The direction is by Edward Buzzell, who had previously directed the Marx Brothers’ film At the Circus Stanley Roberts came up with the story, and Steve Fisher and Nat Perrin handle the script, with additional dialogue thanks to James O’Hanlon and Harry Crane (are they who came up with all the goofy slang?) Once again Nick and Nora become inserted in a more generic plot, something that could even be used as a plot for a comedy mystery tv show episode. Did Monk ever hang around with musicians? A large amount of writers is usually a bad sign for a film. While this team realized they can’t ignore the Nick Jr. character, they don’t do one of the reoccurring gags of the series, the procession of former criminals Nick Charles knows because he busted them long ago. They’ve all been replaced by the jazz musicians, which don’t quite have the same stereotypical wackiness that nicknamed criminal types bring to the table. One weird thing is despite this entire entry being about jazz and musicians, almost every one is white. The lack of black jazz musicians in 1940s New York City is the most unbelievable thing about this entry, and I’m including the ridiculous jazz slang in the unbelievable things list. 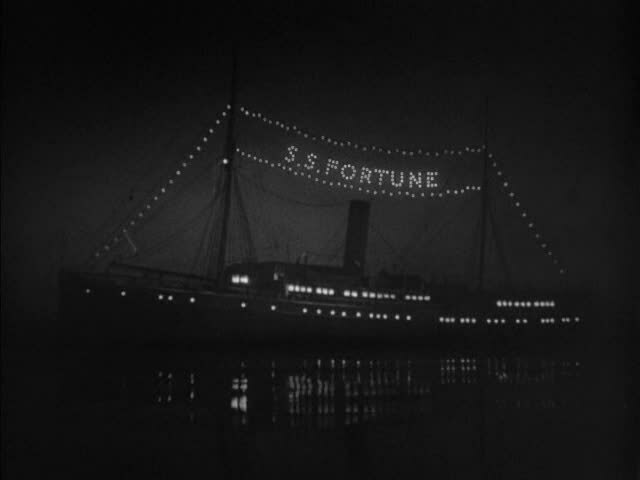 Nick Charles (William Powell) – Nick can’t even have a good time gambling on a boat without being drawn into yet another murder mystery. As he needs to explore the weird world of jazz, Nick has Clinker Krause guide him and Nora around the town to the late night secret jazz parties that don’t even start until 2 am, as well as explaining all the jazz lingo. Nora Charles (Myrna Loy) – Nora latches on as an integral part of the investigation, pushing Nick into investigating and accompanying him on the jazz excursions, as well as sneaking in to see Buddy Hollis. Asta (Asta) – Asta helps Nick investigate and sneak around, but doesn’t have a huge role. Nick Charles Jr. (Dean Stockwell) – It’s cool to see Al back before he was helping Sam leap through time…wait a minute! Dean Stockwell takes over as Nick Jr., and this was how I learned he was a child actor! Nick Jr. is picking up a lot of his dad’s traits, had the series gone on longer his character might have taken over. Nick Jr. has the special power to project visions of himself and his dad having sentimental times together whenever he’s threatened with spanking. It’s definitely that and not Nick Charles having regret that he’s about to spank his son, even though he spanked his wife just last film. Clarence “Clinker” Krause (Keenan Wynn) – Jazz musician who becomes the guide for Nick and Nora to the jazz club afterparties nightlife, as well as explaining all the slang. Phil Orval Brant (Bruce Cowling) – Accused of murder, Phil Brant owns a gambling boat that host charity functions and is in love with Janet Thayar. Her father disapproves because Phil isn’t old money, even though he must have some money to own a fancy gambling boat rich people hang out on. Gets eloped to Janet over her father’s objections, only to be immediately accused of murder. Janet Thayar (Jayne Meadows) – Loves Phil and tries to get Nick to help him, only to get upset when Nick turns Phil in, not aware he’s doing it to protect Phil from the mob. Mitchell Talbin (Leon Ames) – Famed music producer who has stolen away conductor Tommy Drake for his next tour, but doesn’t want to pay off Drake’s gambling debts or deal with all his other problems. Does do some things to try to help Drake to prevent the drama from landing in his own business, but Drake ends up too dead for it to matter. Phyllis Talbin (Patricia Morison) – Mitchell’s longtime wife, their marriage isn’t as pleasant as it appears. Buddy Hollis (Don Taylor) – A reed man (this means a guy who plays instruments that require a reed, specifically the clarinet) who starts to lose it because Fran Page likes Tommy Drake more than him. Is put away in a home, and has a powerful scene where we see the full scale effects of his illness. Fran Ledue Page (Gloria Grahame) – Singer who is having a fling with Tommy Drake, though not happy with how he’s a jerk and stuff. 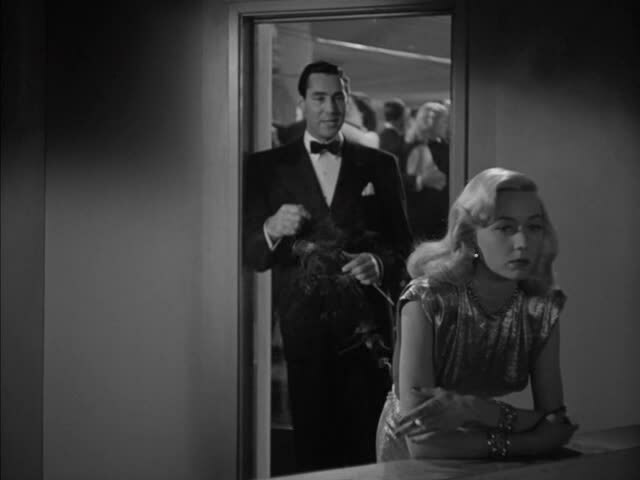 She’s also not interested in Buddy Hollis, who is desperately in love with her.